Do you need to get up and running on bookkeeping basics and the latest tools and technology used in the field? You've come to the right place! Bookkeeping All-In-One For Dummies is your go-to guide for all things bookkeeping, covering everything from learning to keep track of transactions, unraveling up-to-date tax information recognizing your assets, and wrapping up your quarter or your year. Bringing you accessible information on the new technologies and programs that develop with the art of bookkeeping, it cuts through confusing jargon and gives you friendly instruction you can put to use right away. 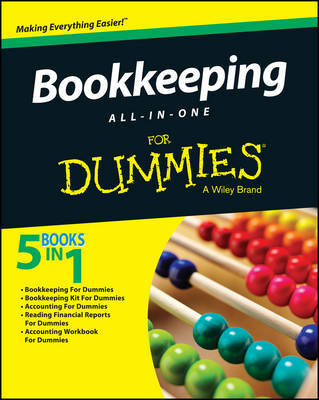 If you're just starting out in bookkeeping or an experienced bookkeeper looking to brush up on your skills, Bookkeeping All-In-One For Dummies is the only resource you'll need.